I am a Malayali and for the North Indian people I am that typical Lungi Mallu who still wears a checks or flower pattern embroidery Lungi at home. I am also a big movie fan and love the Malayalam Language. I have on and off followed the recent news that has gripped the Mallu land of the Dinkan Almighty; The arrest of Professor Dinkan or Sri Dileep. Trolling is the private past time of many Mallus including me especially when a news such as this comes out. That said in this case I want to share some thoughts; in fact when any such case comes in which Law and justice is in the front, we need to look beyond mere emotions. Firstly even if Dileep has been arrested, the decision is with the court to see if all the evidence against him is factual and if he is truly guilty. Just because I am a Malayali, it does not give me the right to serve a verdict. Now I am sure many will question me on this, because they will ask, then why do I oppose Modi when supreme court said he is not to blame. My point is on the basis of what the local political goons did attacking Dileep’s Restaurant. You can believe a person is guilty and blame him, but attacking his restaurant is a criminal mass psychology that is the same as in any riot or event that happens where a crowd turns into an animal with no senses. 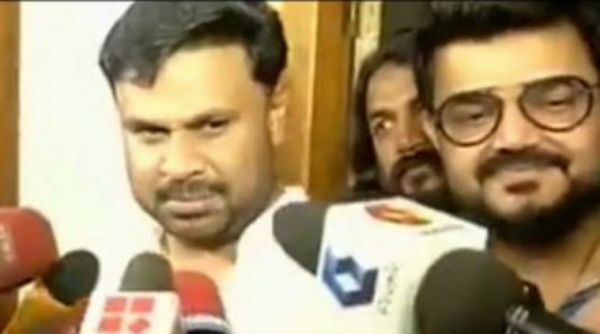 Next, there was a lot of trolling on why the stalwarts Mammootty and Mohanlal did not speak during the AMMA meeting. If you think about it, Mallu World is kind of divided between these two behemoths and if they speak anything, there are many single digit IQ followers for them who will take that word for law and act on it. These duo will be blamed whether they talk or not. I don’t think they can do either, and they chose the most safe one like anyone would have. Thirdly, Now that Dileep is caught people talk as if no one in Kerala really liked him. Is it so? I don’t know about the film fraternity, but I know people always loved this guy for his movies and the way he interacted. While some in the film fraternity say they are in a shock, many have overnight changed their view on him and now show as if they knew this guy was a crook all along. I wonder if it is their way of being on the safe side. I feel that a sense of anger against AMMA is also adding to the public sentiments against him, though I am not discounting the information that Dileep always had a decisive hand in AMMA’s actions on Banning artists and making it a boy’s club of sorts. Fourth, I strongly believe (like anyone else) that Dileep (if guilty) should get severe punishment, but at the same time I also think no one should be victimized because of a public outcry. No one should be a Victim, let justice prevail. I say that especially when I hear the news such as Dileep had hand in Kalabhavan Mani’s death. I don’t know, but Mallu Media is no step behind in coming up with conspiracy theories. Next I want us all to think about the practice of quotation and benami and Mafia. The land Mafia and otherwise exists because they are used regularly, by political parties and people with money. Hope this investigation does not stop with Dileep, but also goes deeper into putting the quotation industry in chains. Too much to ask may be, but let stories be revealed more. People talk about the organization AMMA like they expect it to be so sane and proper. We should understand that any organization can have a Mafia style approach when a selective few control the rings. And Film Industry has always been the play ground of a powerful few. Finally People say Dileep’s movies should be Boycotted which I feel impacts the producers more than the actor. I am not a big Dileep fan, but I have liked some of his movies though last two years I have not seen one I really loved. I think the producer’s should not pay for an actors actions. On a different note I think the common Malayali is in shock because even in the make believe movie industry you would not expect something like this to happen. Dileep has had the ‘boy next door’ image for the last 25 years. These are times when people lose the sense of what to believe. At this juncture the media can make people believe anything they want. As a Malayali I feel a sense of sadness on what happened to the actress and how we now see another actor accused and arrested for the crime. But when you think that the people who share sexist jokes over whatsapp and even make below belt jokes about these incidents are also in the forefront to accuse the actor, you are not sure what they are opposing. There is a saying in Malayalam “ആരാന്റെ അമ്മക്ക് പ്രാന്തെളകുന്പം കാണാൻ നല്ല ചേലാ” which translates as “it is always fun when you see someone else’s mother go insane”. A typical usage that people do not leave a stone un-turned in accusing or trolling someone as long as it is not someone near or dear to them. The base point is simple, even if Dileep is guilty he has a right to fight his case and a verdict unbiased by media uproar. Vinod, SHUTUP. YOU ARE STUPID.